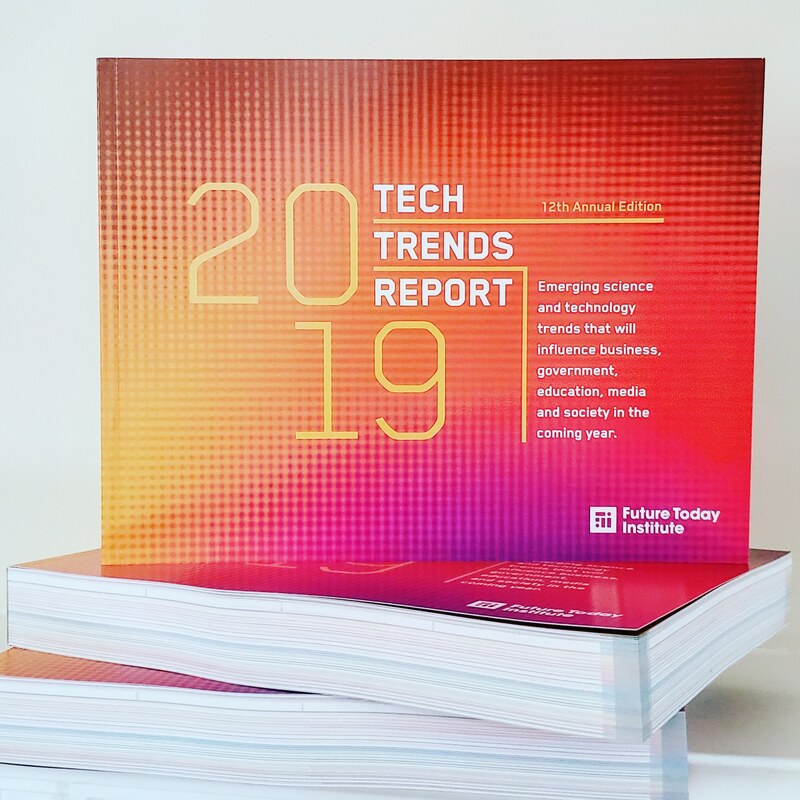 Our 2019 Emerging Tech Trends Report is available in soft cover format. Printed on heavy weight paper with full color, the printed edition is 380 pages long (and weighs just over 5 pounds). Bulk order discounts are available for teams and organizations who need more than 10 copies. Please contact our office for bulk sales.